But what was brilliant music designed to match and enhance brilliant image in Vertigo becomes something far more simple in The Artist. Vertigo‘s emotional complexity is substituted for a run-of-the mill "will she get there in time?" narrative as "Scene d’Amour" is played (all five plus minutes of it) over images of Peppy racing to George’s house to prevent his suicide. It’s a well-edited sequence, but it contains none of the intricacies found in the music’s original source. To hear this piece of music over a paint-by-numbers segment of another movie only makes one further appreciate what Herrmann and Hitchcock created in Vertigo. More than anything, this pilfering of Herrmann’s "Scene d’Amour" and the feelings the music creates only help to illuminate the shortcomings of the The Artist itself. It’s a silent film that packs so little dramatic or comedic punch that it finally evolves into a sound-fest to try and make up for everything it had lacked in its silence. Over at Press Play, Kevin B. Lee made a mockery of The Artist‘s use of Vertigo‘s music when he jokingly placed "Scene d’Amour" onto scenes from Star Wars, Rocky, Rocky IV, and The Phantom Menace. As Press Play Founder Matt Zoller Seitz noted, "The scenes seemed deeper, subtler and more haunting, solely because of Herrmann’s music." Press Play readers were encouraged to follow The Artist‘s lead and place that same musical cue over scenes from other films. After nearly 100 entries featuring "Scene d’Amour" woven into scenes from films both ludicrous and serious alike, the verdict is definitive. Again, Seitz: "Bernard Herrmann’s Vertigo score is so passionate and powerful that it can elevate an already good scene—and a familiar one at that—to a higher plane of expression." Michel Hazanavicius, The Artist‘s director, defended his use of Herrmann’s piece from Vertigo. He said, "[The Artist] was suppose to be an homage, a tribute to the Hollywood classical movie, not something aggressive or something bad." But what Hazanavicius doesn’t seem to understand is that the concept of homage is centered around respect or reverence being paid to an existing work. You’ll find no such respect being paid to Herrmann, to Hitchcock, or to Vertigo in The Artist. No tip of the hat to the original work, no comedic or dramatic link. Rather than direct his film’s composer to create a dramatic piece for the scene, Hazanavicius chose to steal a piece that is already proven to be a trigger of great emotion. What Hazanavicius has stolen isn’t the music (as he said, "…it’s not illegal. We paid for that, we asked for that and we had the permission to do it. "), but the feelings and emotions that the music creates. Herrmann’s music does for The Artist what the filmmakers apparently could not do on their own. Perhaps Hazanavicius next films will make use of John Barry’s score for Somewhere in Time, or maybe Nino Rota’s for The Godfather. There’s nothing wrong with that, right? 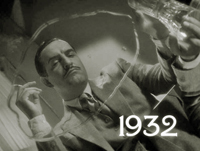 The Artist is not a bad film by any stretch. It certainly has its moments, even though they are few and far between: a shot of alcohol framing the face of depression; Peppy’s embrace with a shell that she wishes were the man; her manual viewing of frames on a reel of film. And, of course, it is embodied with charming performances from the entire cast. But is The Artist a comedy or a melodrama? The movie can’t make up its mind, and ends up falling flat on both accounts. What The Artist is, really, is a perfectly enjoyable short film stretched out over a 90-minute runtime; a two-reeler that’s been woefully spread across 10. But its theft of Herrmann’s score—a piece of music designed to accompany another piece of visual art entirely—is shameless. It was done not as a tip of the hat to Vertigo, to Herrmann, or to Hitchcock, but as a shortcut to wring unearned tears out of the The Artist‘s patrons. It’s manipulative in The Artist, reductive when considered with its original context in Vertigo, and an act of disrespect to both Herrmann and Hitchcock. The Artist is a decent enough film in its own right, but it won’t ever stand with the greats. That it had to swipe some of the magic from one of the greatest films ever made in order to enhance its most dramatic scene only makes that all too plain to see. And hear. The Artist certainly isn’t the first film to take influence from Vertigo. Here’s just one example of a film that homages Vertigo, and does it well. This is an inappropriate use of a beautiful theme from a great Hitchcock film (which is not even given proper credit in the end credits). Why not write an original theme for this scene in THE ARTIST? Kim Novak was correct for objecting to this “borrowing” of Herrmann’s music from VERTIGO. I just watched “The Artist” for the first time and the Vertigo theme music near the end surprised me as it was instantly recognisable as coming from Vertigo. I was surprised that the Artist won Best original score having used that music but sorry everyone – I thought it worked brilliantly! And I thought The Artist was brilliant!